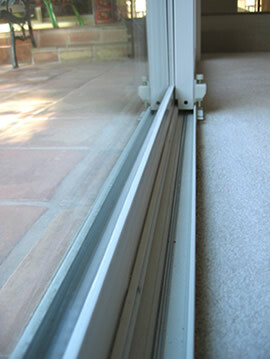 When it comes to patio doors, the switch to double paned glass makes a big difference in energy efficiency. 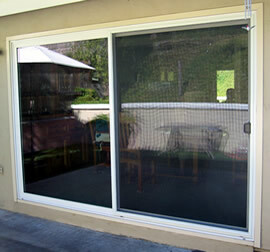 At ten feet wide, this is a larger than average sliding glass door. We wanted to keep the 2-panel style of our old door, but some installers told us the dual panes of glass would be too heavy. They said we'd have to switch to a 3-panel door (2 stationary panels and one that slides). As you can see, the installer we ended up choosing had no problem getting us a 2-panel door. It does take a bit of effort to open, but it's not bad at all. The lesson here is that you'll get different answers to the same question depending on who you ask. 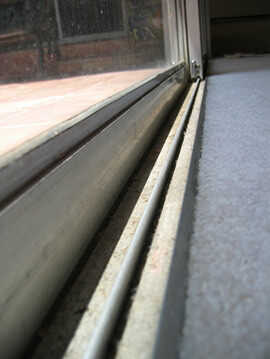 Years of dirt buildup, broken rollers and a broken safety lock made this old aluminum sliding patio door virtually useless. The new vinyl track is clean and the door slides easily. 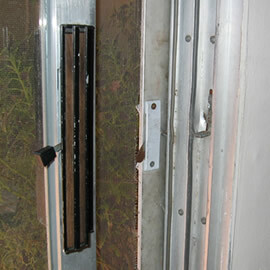 The new door also has a foot-operated safety lock which is a nice feature. As you can see, the difference here is dramatic. 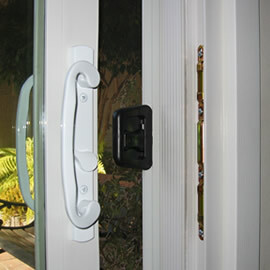 The old handle with the fake wood-grain is replaced by a sleek, white metal handle. 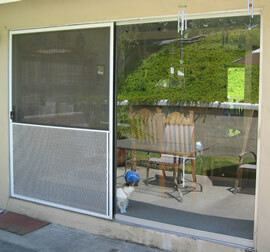 The bent aluminum frame is replaced with clean, virtually indestructible vinyl. The ripped screen is a memory we're happy to forget.